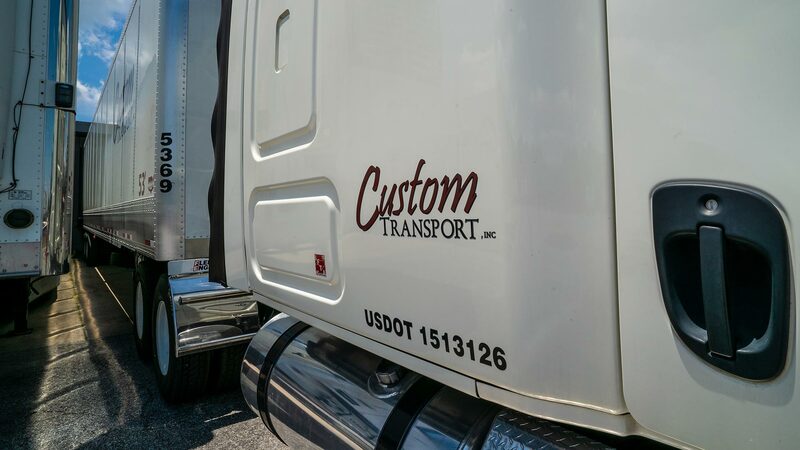 Customize Your Freight with Custom Transport, Inc.
We understand that your shipment is important. That is why we strive to provide fast, friendly, and reliable service. Every time. With our quality drivers, diligent dispatch, and reasonable prices, Custom Transport, Inc is the best choice for your shipping needs. From the moment you entrust Custom Transport, Inc with your freight, we aim to exceed every expectation. Each member of our driving team has proven that he will get the job done safely and on time, while honoring DOT regulations. 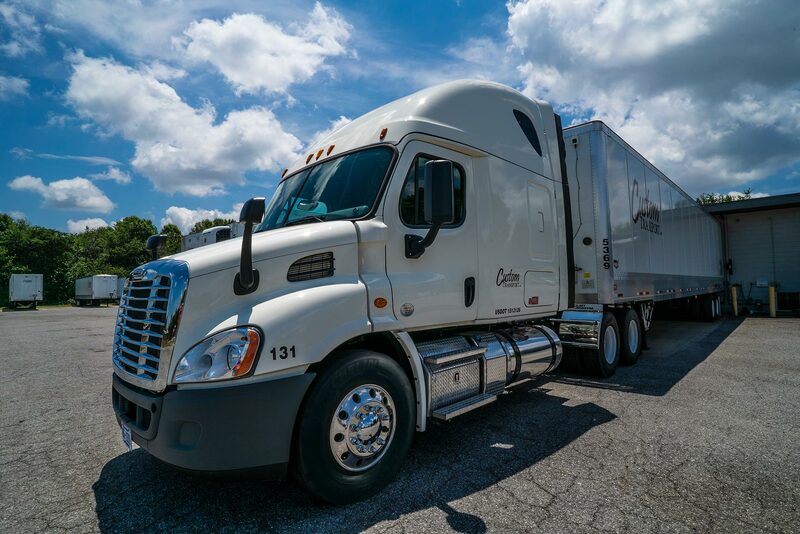 The safety of each driver and the general public is extremely important to the whole CTI team, and we have taken steps to ensure that all DOT regulations are followed. Because of our efforts, you can rest easy knowing that your freight will be picked up and delivered on time. If you are looking for great service at a fair price, look no further! There is no need to sacrifice the quality service you need based on your budget. Our team will work with you to find a competitive rate that suits your needs. Custom Transport, Inc will always strive to build lasting relationships with our valued clients based on the truth. Custom Transport, Inc is a North Carolina trucking company founded in 2005. Since then, the Custom Team has seen numerous changes in the trucking industry, and adapted to every new challenge. We have expanded our services to include long-haul, regional, expedited and dedicated freight. Our team can provide cross-docking and short-term storage options. Even after more than ten years of success, Custom Transport is proud to have a family-oriented business with personalized service that is so often discarded as a business grows. Through industry changes, our objectives have stayed the same: We are here to serve you! 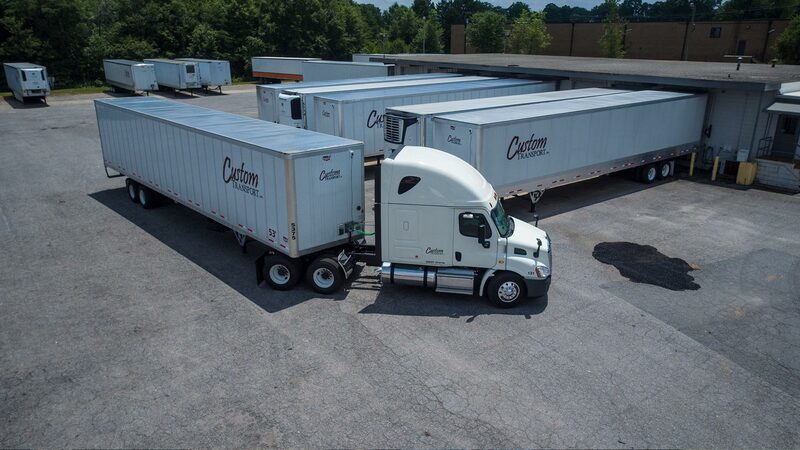 Our mission at Custom Transport, Inc is to provide quality services at competitive prices and to offer the best shipping value for our customers. Aim to be the absolute best in the eyes of our customers and employees. We hope that you choose Custom Transport, Inc for your shipping needs so that we may serve you, too! ©All material, product information and images contained within this site is property of Custom Transport, Inc., and may not be used without permission. Web Site Design by Chad Austin, Inc. and Photography also by Chad Austin Photography in Hickory, North Carolina.